A splendid chest of drawers crafted from strong American White Oak, this 3+2 chest features a lacquered rustic finish. Handmade by craftsmen using traditional techniques, the bedside table has two storage drawers for your bedside essentials and elegant metal handles on the drawers. Dovetail jointed drawers and tongue and groove backs and bases are a mark of the traditional techniques used to create this item. 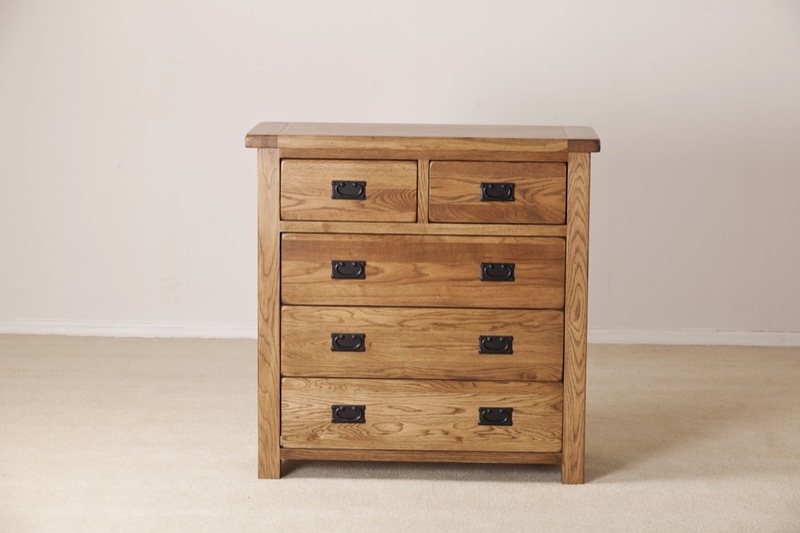 The chest combines traditional craftsmanship values with superb design. The lacquer finish means you will not need to worry about re-waxing. You only need to dust or polish the 3+2 chest alongside other items of furniture.